Liverpool is one of Britain’s friendliest and most vibrant cities, and it’s well worth travelling there for a weekend break or longer. There are lots of attractions that draw in tourists, such as the imposing Liver building, the beautifully regenerated dockland area, and the Beatles trail including the Cavern Club. Look a little further afield, however, and you can find a piece of history, a hidden gem, unlike anything else in Britain: the Williamson Tunnels. Huge numbers of tunnels were built across Britain in the first half of the century, largely because this was a time that the railway system was being introduced, transforming life completely for the nation and allowing people to travel easily from town to town. 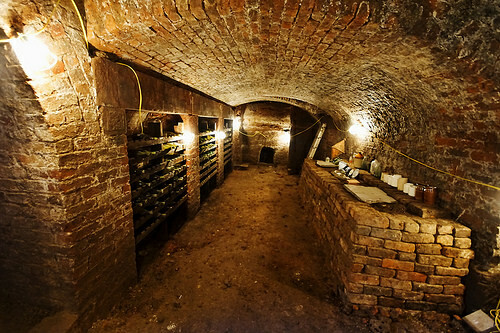 The Williamson Tunnels in the Edge Hill area of Liverpool, however, are very different for a number of reasons. Firstly, they aren’t really tunnels. Rather, they are large stone vaults built above ground rather than travelling underground or through a rocky surface. Secondly, they weren’t built to allow trains to run through them, or for storage purposes, or as pedestrian walkways – in fact, nobody knows why the Williamson Tunnels were built at all, but the man behind them spent over 30 years creating them. The Williamson Tunnels bear the name of the man who had them constructed, Joseph Williamson. Williamson was born into humble beginnings in Barnsley, Yorkshire, in 1769, but his family moved to Liverpool when he was 11, and his life took a very different course. He found employment in a tobacco factory, but his talents, fierce intelligence, and entrepreneurial skills earned him rapid promotion and by 1803 he had bought the tobacco company he once worked for. Over the next few decades, Williamson became incredibly wealthy, but from 1810 to 1840 he became increasingly eccentric, and devoted his time to the project which earned him the nickname of ‘the Mad Mole of Edge Hill’. We’ll never know why Williamson built his tunnels or arches, but it may have simply been a way for an eccentric man to spend his time and money. Williamson spent a huge amount on the construction of the tunnels, and in so doing, provided employment for a large workforce for 30 years. He often made them move items from one place to another and then back again repeatedly, for no reason at all. As another example of his idiosyncratic ways, on the day of his wedding, he went hunting in his wedding clothes. Notorious in their day, the Williamson tunnels had fallen into dereliction until 1995, when they were lovingly rescued and restored. Today they are once again an incredible sight to behold, and they act as a museum to Joseph Williamson and to Liverpool’s industrial past. They also hold regular events and music concerts throughout the year, when their fine acoustics come to the fore. One of the great traits of Britons throughout the ages has been their eccentricity, and this is perfectly epitomised by Joseph Williamson and his tunnels. No visit to Liverpool would be complete without seeing them.